Waterfalls offer a unique chance to challenge your photography skills. The lighting around waterfalls is often tricky, as they are frequently in forests with sun shining through the surrounding leaves. 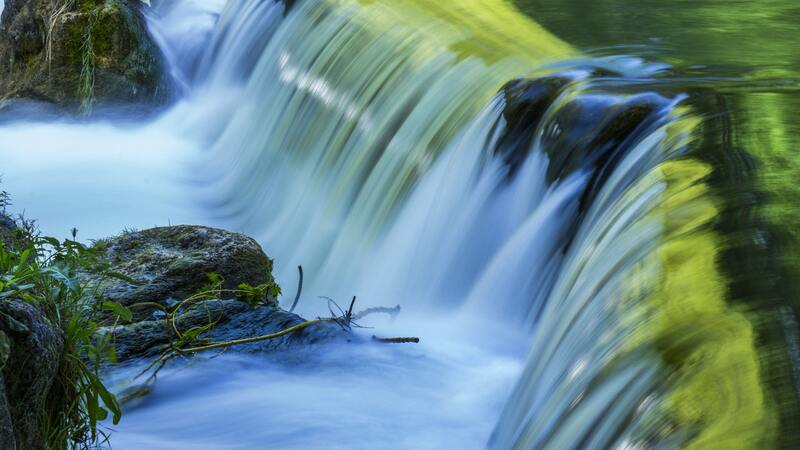 They’re also moving constantly, which gives you two choices for shooting: high shutter speed to freeze water movement, or long exposure to turn the water silky and smooth. As freezing movement is easy as long as you have a high enough shutter speed or a flashgun to freeze motion, we’re going to look at shooting waterfalls with a long exposure. As we covered long exposures in the last article, this technique probably isn’t new to you. As we pointed out in the last article, planning in advance is the way to get good long exposure images. All you basically need is a camera that can shoot in manual mode and a good tripod. Yes, use ND filters if you have them, but if you don’t you can still get some great waterfall shots. Polarizing screw on filters are also a good choice for waterfalls, as they reduce the reflections on wet rocks and leaves. If you don’t use a filter, your exposure times will be much shorter, and you won’t need to set your camera to Bulb mode. 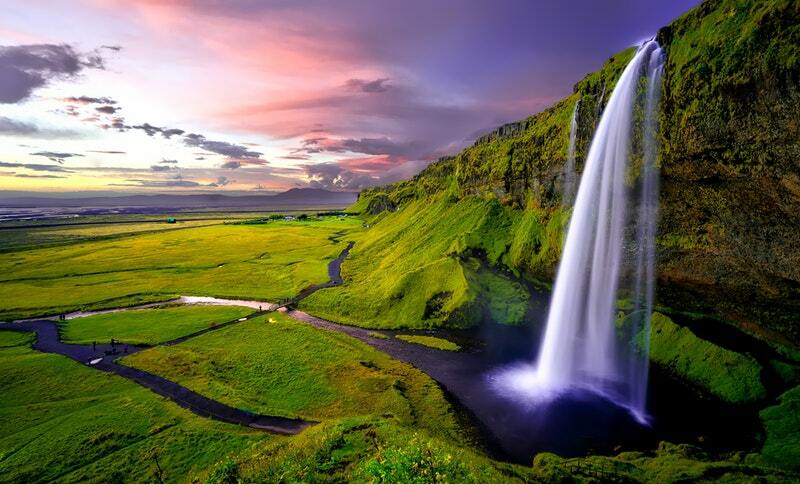 The best time to shoot waterfalls is at sunrise and sunset. As waterfalls are often in deep canyons or gorges, take advantage of this and shoot before the sun reaches a point where it shines on the waterfall. This means you have a nice, even light for your long exposure. If you check which direction your waterfall is facing, you can plan the best time of day to shoot it. If it’s facing east, the rising sun will shine on it, which is no good for your long exposure. It would be far better shot at sunset when the light is in the west. Overcast days are also great for shooting waterfalls, as you’ll get a nice, even light regardless of the time of day. 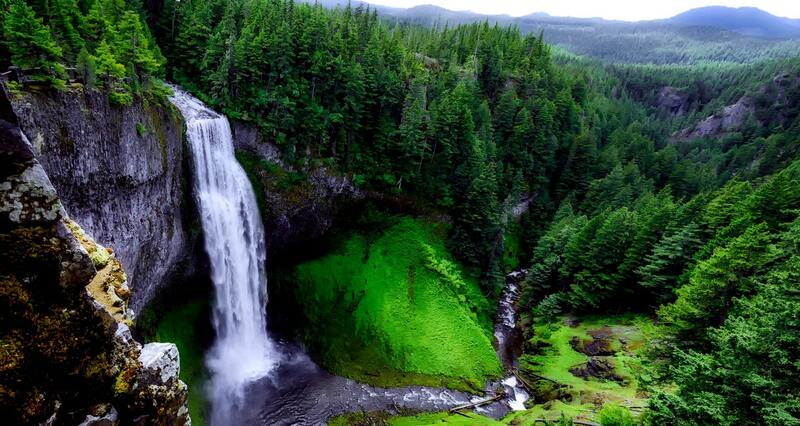 Take something along to clean your lens with, as you’ll likely catch a lot of spray and mist off the waterfall. One way to minimize this is to put a cheap, clear filter over the lens while you’re setting up, only removing it when you’re ready to take the shot. How Smooth Do You Want The Water to Be? Do you intend to shoot a large, fast moving waterfall, or a small, gentle one? The type and force of the waterfall will affect the exposure time you use. You don’t want a complete lack of detail in the falling water, so you will need to experiment to find the exposure that suits the look of your waterfall. Large, short waterfalls often benefit from the exposure being under a second, as that will show the motion of the water and you will still keep the details. Small, tall waterfalls are suited to longer exposures, such as between 1 to 4 seconds long. You can also take two shots of the same waterfall with different shutter speeds, and blend them together after in Photoshop. 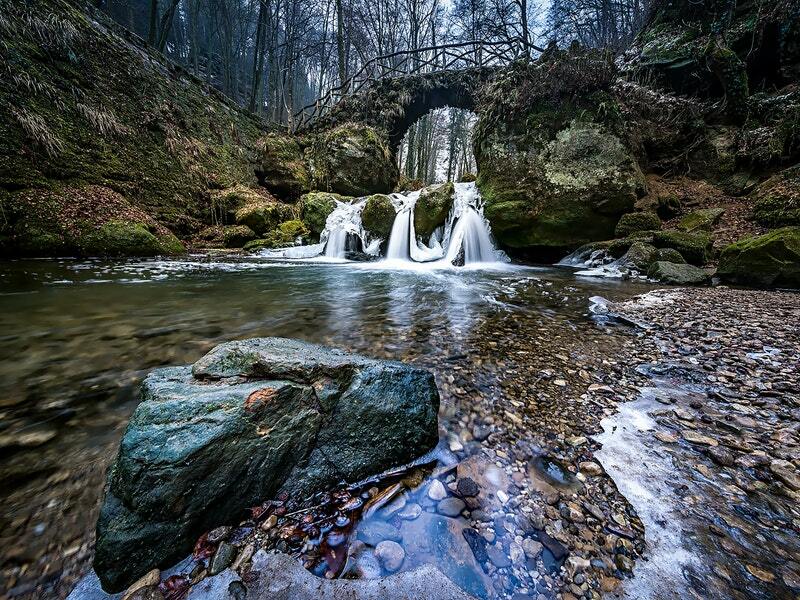 This will give you a good mix of frozen and blurred motion in the same image. 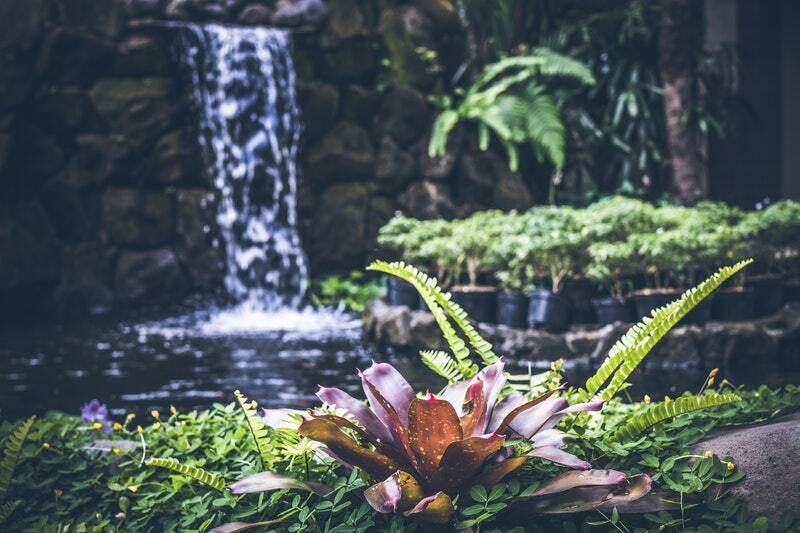 If your waterfall has surrounding trees and plants, chances are that there will be a breeze that will move them, however slightly. This means your trees and plants will come out looking soft and strange. Bracketing can help to solve this problem. You may have heard of or done bracketing before to get a greater dynamic range in your images, but in this case it’s to freeze time and trees. After you’ve taken your waterfall shot, take it again, but you’ll need to increase your shutter speed up to at least 1/100th of a second to freeze the motion of the trees. You may have to increase your ISO to compensate. When you get home, you can blend the two exposures in Photoshop using layer masks. So, your waterfall will be silky-smooth, but your trees and plants will be sharp. A lot of photographers who are just starting out always include the sky in their landscape images. Often this sky is grey and featureless, and distracts from the beauty of the waterfall. Change things up and make the waterfall your main focal point, and frame so that there is no sky in the image unless it’s dramatic. If you don’t have a full-frame camera, you may not be able to fit the whole waterfall in your image, but don’t let that discourage you. 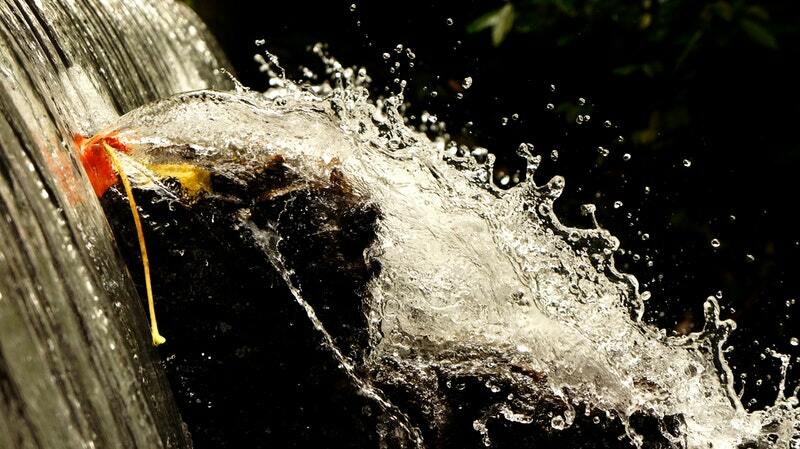 It’s time to get some abstract shots by choosing to focus on one area of the waterfall instead of the whole thing. Most people choose to stand on the river bank downstream and shoot directly at the waterfall. This can give the same kind of images we’ve seen thousands of times before. Try and find a different angle or viewpoint. Shooting with leaves in the foreground or through tree branches could make some interesting images. Try experimenting with including more or less of the foreground in the shot. Try shooting with your camera in landscape orientation. Most people take waterfall shots in portrait orientation, but try doing it both ways and see which images you prefer. It’s not hard to get great waterfall shots, but it does need planning and a lot of patience! Have you tried shooting waterfall images yet? How did you find the experience? 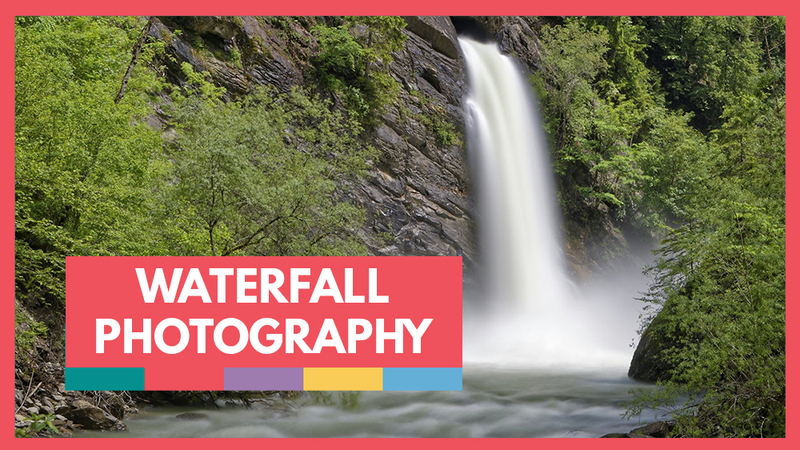 With some practice and experimentation, you should be well on the way to capturing some stunning waterfall images.